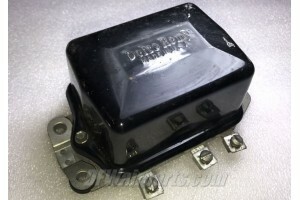 Delco-Remy Aircraft 12V / 35A Voltage Regulator. P/N 1119220E or 1119220. Possible Alternate P/Ns 1118704, 1118892, VR300-14-35, 0413025-6,0413025- 8, 0413025-10, 35-380142-7, 450-390, DGR7-14-35, 62883, G1350N. It was removed from a salvage aircraft.